If you’re planning a trip to Brazil and wondering about things to do in Rio de Janeiro, then look no further. For beach bums, adventure seekers, party people, and everyone in between, travellers of all types are bound to find something they love in this colourful seaside city. Now, we won’t say a visit to Rio isn’t complete without at least one trip to the beach, but other people might say that. Whether you’re in the mood to take a dip, work on your tan (SPF is a must! 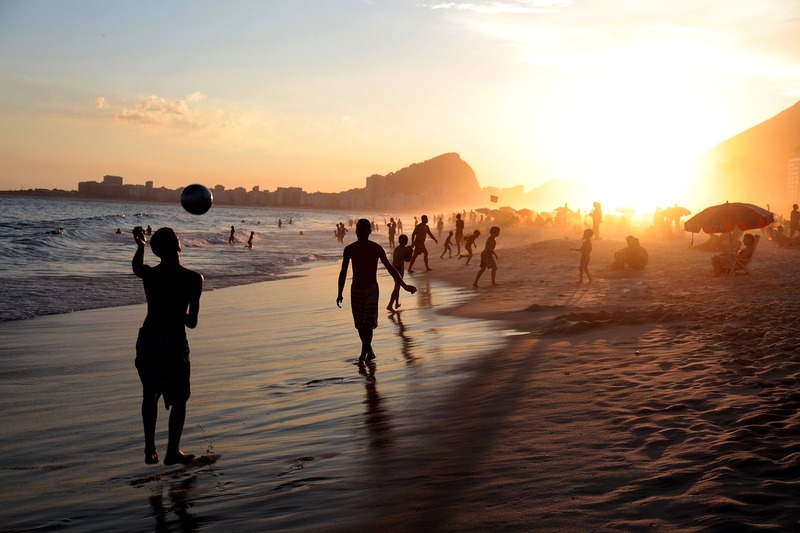 ), or join the locals in a game of football or volleyball, head to Copacabana Beach, one of the most famous stretches of sand in all of Brazil. Offering 4km of pristine ocean bliss, beach goers can take in gorgeous views of the iconic Sugarloaf Mountain while sipping on the sweet juice of a freshly cracked coconut, and for something a little stronger, make your way to one of the many beach bars and treat yourself to an icy cold beer. For something slightly less crowded, slightly more posh, and some powder white sand, make your way past Fort Copacabana to Ipanema Beach. Break out your bathing suit-best, lay your towel down, pop open your beach umbrella, and settle in for some top-notch people watching. If crowds aren’t your thing and you want a mellower, more local atmosphere, Vermelha Beach. Located at the foot of Sugarloaf Mountain, you have the added bonus of the beautiful mountain scenery surrounding your stretch of sand and ultra-calm waters. This is the perfect beach to head to before or after a trip to the top of Sugarloaf, as the cable cars that take you up are located very close by. Speaking of Sugarloaf Mountain, we highly suggest making the scenic journey to the peak for the chance to take in 360° views of Rio, the surrounding areas, and the Atlantic. While it is technically possible to hike your way to the top, it isn’t recommended, as the trailhead can be difficult to find (many locals couldn’t even tell you where it is), and there’s some climbing involved, as well. For this reason, we recommend the leisured cable car ride up, tickets for which can be purchased at the station right by Vermelha Beach, or online for a 10% discount. The cable cars run from 8 a.m.- 9 p.m., with the last ones going up at 7:50 p.m., so if you can swing it, we suggest holding out for one of the last cars in order to catch a spectacular sunset. One of Brazil’s – and possibly the world’s – most recognisable landmarks is the enormous Christ the Redeemer statue, with arms spread wide open, looking down on the city below. As one of the Seven New Wonders of the World, it’s safe to say that if you’re in Rio, a visit to this towering statue should make its way onto your itinerary. You can get to the statue a few different ways, including by taxi, train, and tiring (yet rewarding!) hike. For the romantics out there, a small chapel has been built at the base of the statue, so if it’s your dream, it’s possible to get married under the statue. 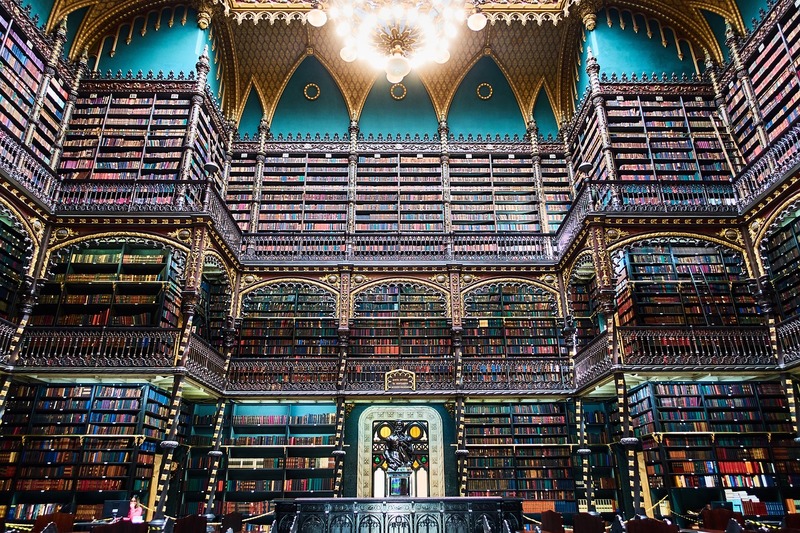 When you’re ready to take a break from the bright Brazilian sun, take a step off the beaten path and seek shelter in the breathtakingly exquisite Royal Portuguese Cabinet of Reading. 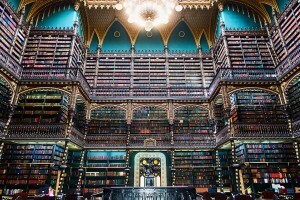 A trip to this library is like stepping into another place and time, and you don’t need to be able to read Portuguese or even love books to appreciate a visit to this stunning space; you need only to possess an appreciation of beautiful things. If you’re in Rio on a Sunday and you enjoy a street market, then Ipanema’s weekly Hippie Market is a must. In stall after stall, you will discover crafts, clothing, furniture, art, jewellery, and more. In short – this is your one-stop-shop for gifts for friends and family back home, as well as souvenirs for yourself. And if you work up an appetite while strolling the stalls, there is an abundance of delicious, authentic food to fuel you up and keep you going. Looking for a great neighbourhood to check out? We recommend Santa Teresa, a charming old district with winding, cobbled streets, steep hills, and colourful buildings. Cheerful yellow trams tote people from place to place, and you can jump on one to get into and out of Santa Teresa from Rio’s city centre. 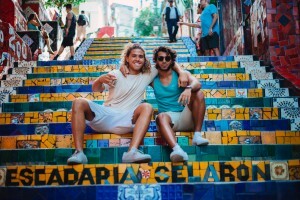 One of the neighbourood’s and city’s most famous landmarks, the Escadaria Selarón, aka the Selarón steps, are a series are stairs covered in brightly coloured mosaic tiles created by artist Jorge Selarón. The steps start at Rua Joaquim Silva and climb up to Ladeira de Santa Teresa. Take time to leisurely stroll, as you take in the Art Deco architecture, sweeping city views, and laid-back vibe of this artsy area. No guide to Rio de Janeiro would be complete without the city’s biggest and most famous party of them all – Rio Carnival. Held every year just before the beginning of Lent, millions of people descend upon the city’s streets to join in the colourful celebrations. 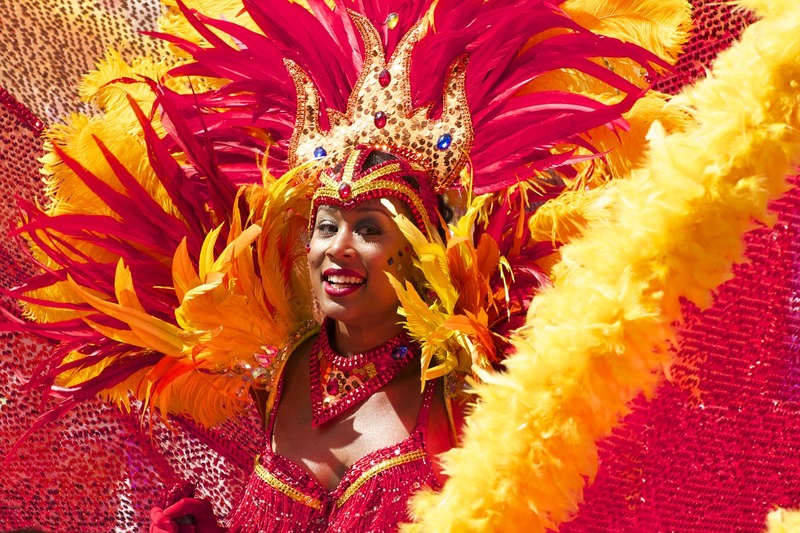 The costumes, Samba music, parades, and dancing create an electric sensory overload that everybody should have the joy of experiencing at least once in their lives. Make sure you plan ahead, and get your tickets early for the Sambadrone parades, which are the main events of Carnival – tickets go on sale early and sell out fast. Rio’s nightlife scene isn’t just limited to the annual Carnival, the city knows how to party year-round. Favela parties are a great way to party like a local, and there are several to choose from. 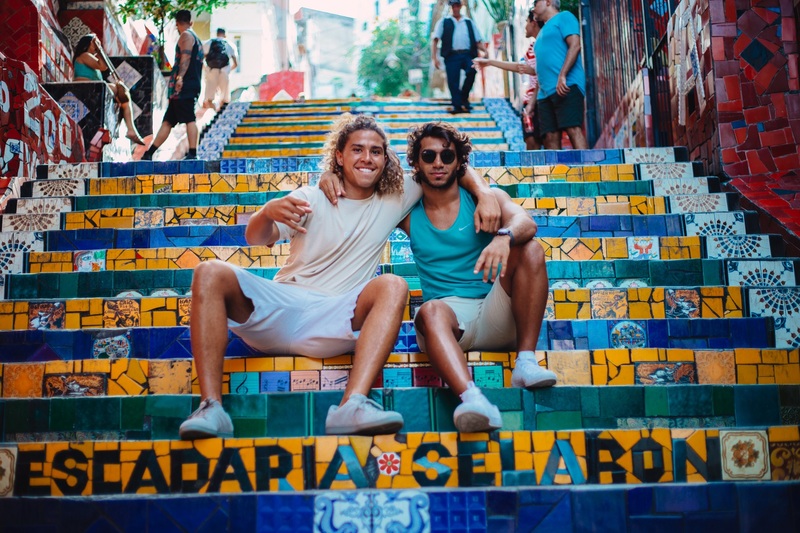 The Maze offers incredible views, a killer monthly jazz night, and guaranteed good times all in a quirky castle-like structure, while Baile da Favorita brings together locals and visitors alike for one of the best nights out in Rio. 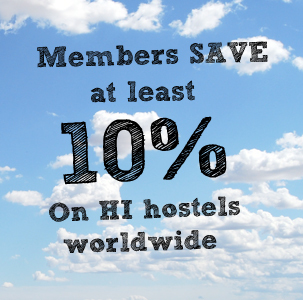 As always, if you’re looking for a Rio de Janeiro hostel, we’ve got you covered. You could channel your inner Olympic athlete and stay at the Mango Tree Ipanema, just like the bronze medal-winning Norwegian rowing team and sailing team did during the 2016 Rio Olympics. 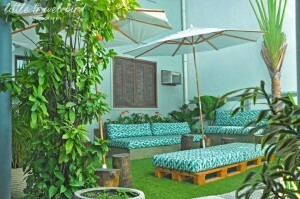 Just one block from the world-famous Ipanema beach, start your day with a Brazilian-style breakfast, get to know fellow travellers and relax in the quiet garden, and get a good night’s sleep in this newly renovated 1930’s colonial style house. 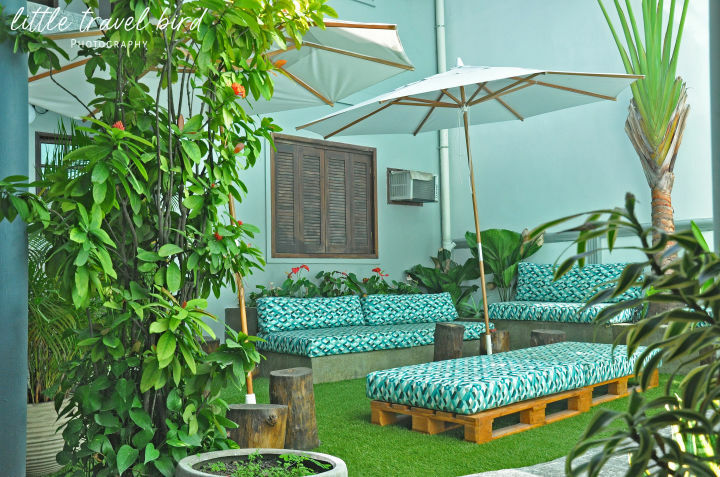 Another great option, especially if you’re in Rio for Canival, is the Maracanã Hostel Vila Isabel, which is located less than 5km from the Sambadrome. If you’d like to immerse yourself in Brazilian culture, you can take advantage of the hostel’s music, dance, and capoeira classes. The best part? Once you’ve worked up a sweat, cool off and indulge in their sweet Açaí sorbet.